The R15 is the most adjustable fairway wood by TaylorMade, and it features a four-degree loft sleeve and 25g Tungsten Weight. It comes in a Satin White finish on the crown and with some alignment aids to improve accuracy. 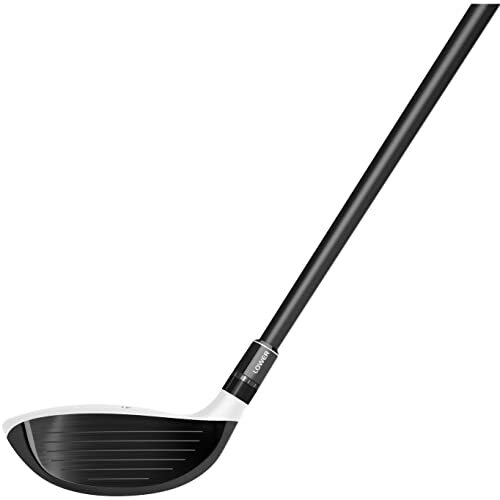 The manufacturer also ensures that golfers get the best performance from this club by giving it a Thick-Thin Crown, New Front Track, and a Contoured Back system. The R15 is the most adjustable fairway wood by TaylorMade, and it features a four-degree loft sleeve and 25g Tungsten Weight. It comes in a Satin White finish on the crown and with some alignment aids to improve accuracy. The manufacturer also ensures that golfers get the best performance from this club by giving it a Thick-Thin Crown, New Front Track, and a Contoured Back system. This club has a graphite shaft and a high strength superalloy face to give it an incredible feel on impact. Sliding 25g Tungsten: The 25g sliding tungsten makes this the most adjustable woods by TaylorMade. It provides many adjustment options to ensure that golfers always get precise shot shaping and customizable performance. New Front Track: R15 has a New Front Track that will perform like a speed pocket as it reduces the spin and increases the size of the sweet spot to ensure that each shot that a golfer makes is fruitful. Contoured Back: This club has a contoured back which is an excellent addition to the design as it ensures that it can glide through the tough well. Also, the contouring helps to minimize the resistance to ensure fast clubhead speeds. Thick-Thin Crown: TaylorMade gives this fairway a Thick-Thin crown which is very useful in redistributing the weight to improve the location of the center of gravity. 4 Degree Loft Sleeve: The four-degree loft sleeve will give a golfer more options when dialing in the launch conditions. Shaft: The R15 features a Fujikura graphite shaft that is available in X-Stiff, Stiff, Senior and Regular flexes. Look: It is a beautiful fairway wood with a Satin White finish on the crown and some alignment aids to ensure accuracy. This Fairway produces a medium flight that is very consistent, and you can also alter it if necessary. It feels stable through the contact and misses do not create harsh feedbacks. Most golfers love the shape of the head as it is not too small or too large. The white clubhead looks stylish and high-end. It offers great adjustability and versatility. R15 uses a Front Track System to increase the size of the sweet spot and to reduce spin. You also get a headcover when you buy this fairway wood. Some golfers claim that it is not responsive enough on impact. It would be a better fairway wood with some extra length. The white color scheme will not impress some golfers. This club will not work well for high-handicappers looking for something with extreme forgiveness. 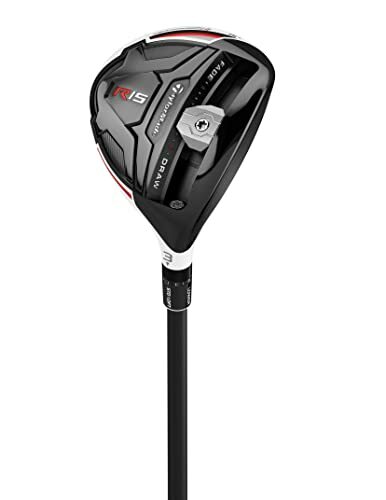 The R15 is a best fairway wood by TaylorMade which is one of the leading companies in the production of golf equipment. It is an attractive club with a stylish and high-end Satin White finish on the crown, but there is still much more to this fairway than the look. The sliding weight is one of the most outstanding features of the R15 because it makes it adjustable and very versatile. If you like to use adjustments to get the right ball flight, this is what you need to go for as it makes this possible and easy. The size of the sweet spot and the minimal spin are also very impressive, and they will help to improve your shots. And if you also consider the incredible feel on impact and the forgiveness on misses you have a top notch club for all handicaps.